Over the last few decades Technology has changed rapidly in every field. Technology experts are exploring new ways at a faster rate than ever to improve the technology world in Software & Hardware Industry. Scammers are everywhere and they always find diverse techniques to swindle individuals on the web. Email frauds, Website hacking, Social media Frauds are some of the common Internet Frauds you hear every alternate day in Television and Newspapers. Data Breach and Online Security are concerned not only for us but for Google as well. You can check the biggest cyberattacks of 2017 here. To stop this online fraud Google recently did an announcement of the Titan Security Feature that could improve the Online Security and decrease the odds of scams. 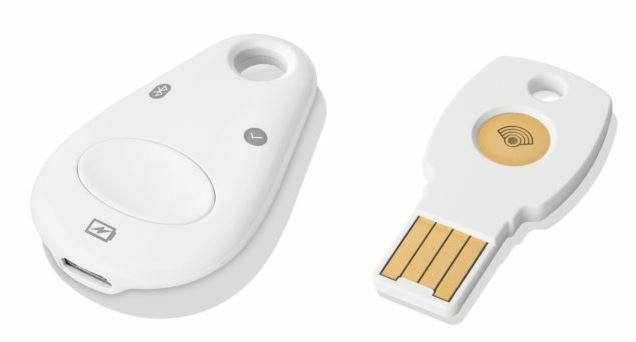 Google employees are actually testing the Titan Security Key and now giving direct competition to the product developed by Yubico according to The Verge. The Google Security Key will be available in both USB & Bluetooth options for Mobile Devices. The design of the Google Titan Security is similar to Feitian MultiPass FIDO Security Key. The bundle of USB and Bluetooth security keys are available at a price of $50 but if you have to buy individually then you can purchase at a price of $20 or $25 (not decided yet). Titan Security Keys are accessible in Google store soon. Do you have any news related to Google that you would like to impart to us? Please let us know in the comments below.